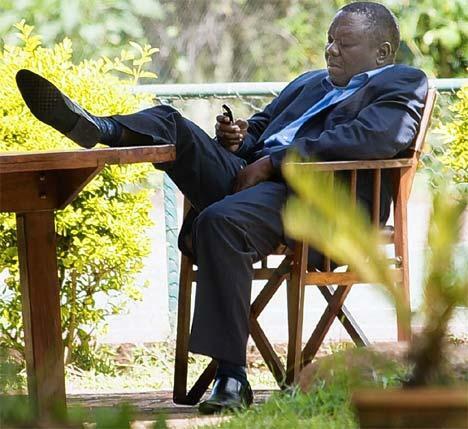 What's Zanu PF's game plan? 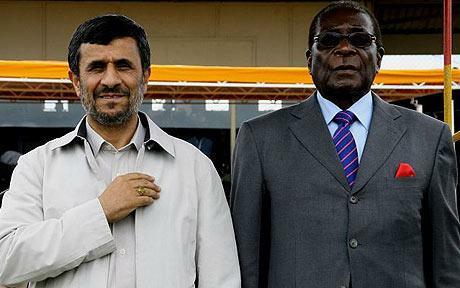 Iranian President Ahmadinejad, pictured here with President Mugabe, officially opened Zimbabwe's international trade fair in Bulawayo last week. The announcement by the Zimbabwean Government to target mining companies first in the indigenisation process appears to point to a plan by President Robert Mugabe's Zanu PF party to strip western companies of control of these resources and place them in the hands of favoured Eastern allies. This was followed by news of a uranium deal signed between Zimbabwe and Iran last week following President Mahmoud Ahmadinejad's visit to Harare last week. The Russians have already been given prospecting rights to the new diamond fields in Chimanimani and Chipinge, and one can already see the same happening to other mineral concerns. 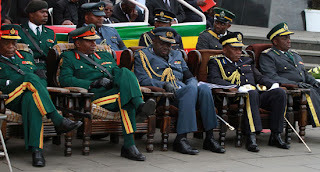 I do not see Zanu PF relinquishing power to the MDC in any election - fair or foul; their interests in mineral resources will become more and more entrenched, and the Joint Operations Command (JOC) in particular will pull out all the stops to make sure that its corporate interests will not slip from out of its grip. Undermining South Africa is an important strategic manoeuvre in this grand plan - and it will be pushed through the prism of indigenisation of natural resources for the benefit of the 'indigenous' people. Mugabe has already virtually recruited the South African ruling ANC party's youth leader Julius Malema to preach this gospel. After having railroaded the land seizures through Zanu PF will seek, as it guns for control of all mineral resources, to project itself as a more progressive liberation movement than the 'dithering' ANC, which will increasingly be portrayed as having failed to move satisfactorily even on land reform for its people, especially as South Africa's target to hand over 30% of farmland to blacks by 2014 looks way off the radar. The overriding message from Zanu PF will be that the southern Africa region is locked in a resource war with the 'imperialist' West: this securitisation strategy will ensure the adoption of extraordinary measures to secure the 'sovereign rights' of 'our people', and any regional government that sets itself in opposition to this Zanu PF agenda will be portrayed - by use of such agents as Malema - as having sold out its people to placate imperialism. They might even try to rope in the Mozambicans as well with the message to guard their oil resource jealously. Zanu PF has used this same argument with respect to land to bludgeon the region into inaction over its repressive regime survival agenda. The next election in Zimbabwe will be another bare-knuckle affair. It does not help that as we draw closer to it, Zuma and the ANC will be locked in mortal combat over control of the ANC at their congress in 2012. 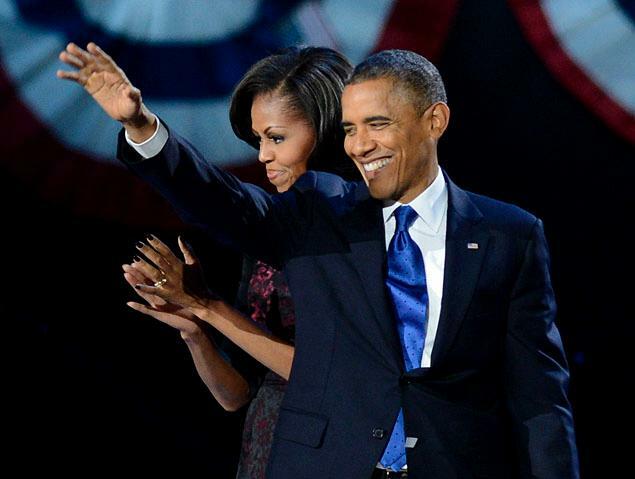 The timing is ominous - Zimbabwe will most likely go to election in 2013.